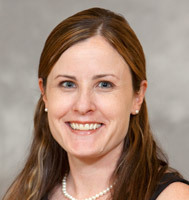 Amy Bauer works with adults in individual and group therapy. Her areas of interest include anxiety, depression, stress management and adjustment concerns. She has extensive training and experience using cognitive behavioral therapy, acceptance and commitment therapy, dialectical behavioral treatment and solution-focused therapy.